Everyone needs something fun and quirky in their garden, don't you think? 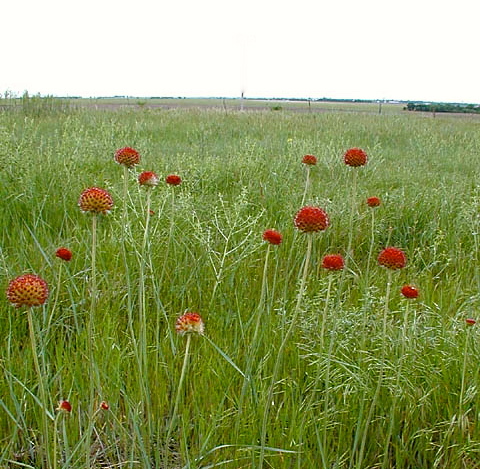 This Rayless Gaillardia (Gayllardia suavis) fits the bill for me. A great form for the fall garden, loved by butterflies, with potential as a fine cut flower. Find this Oklahoma native here. 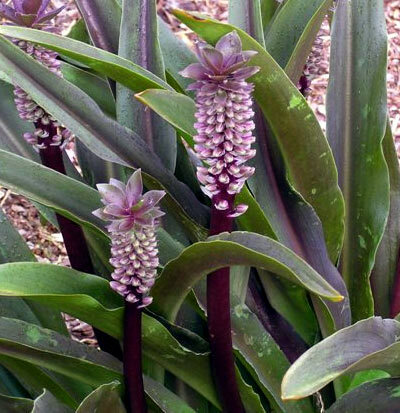 I've seen this Eucomis 'Sparkling Burgundy' growing in a friend's garden and now MUST have some for myself. 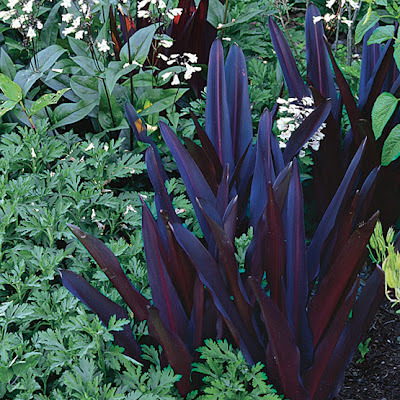 Fabulous, pineapple-y flowers and equally as fabulous dark burgundy foliage will look great with the stand of lorapetalum I've established in the front...and it will appreciate the afternoon shade in the new bed along the drive. Find it here if you covet it as much as I. Won't this Duranta ereca 'Lime' (Lime Duranta) be a spectacular shade in contrast with the Eucomis? Love the chartreuse color, one of my faves, and its affinity for the hottest of summers. Find it here...I want a cluster of three, I think. Get another punch of the same color from Coleus ('Large Marge'). A large leaved sun coleus that fits in with this color scheme brilliantly.